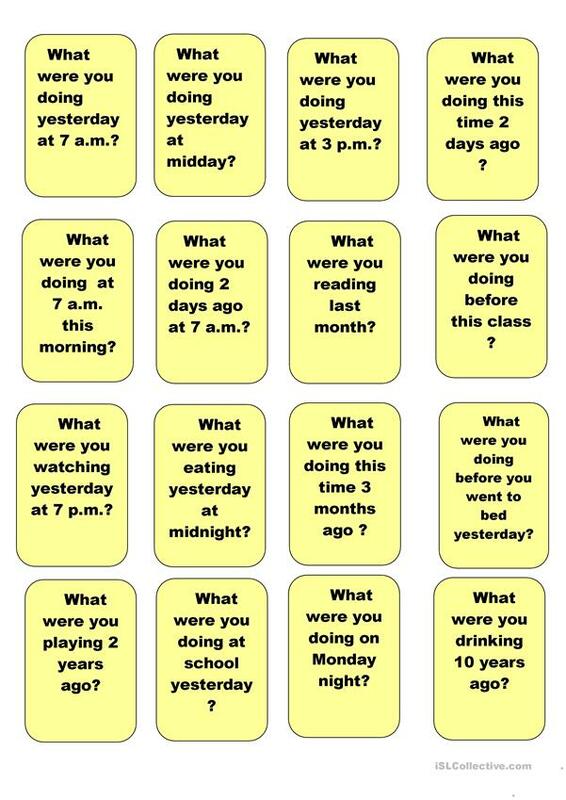 Past Continuous - speaking cards. Ss work in pairs or groups of 3 and ask and answer the questions using past continuous tense. This downloadable teaching material is best suited for high school students and elementary school students at Pre-intermediate (A2) and Intermediate (B1) level. It is aimed at consolidating Past continuous (progressive) tense in English, and is useful for honing your groups' Speaking skills.